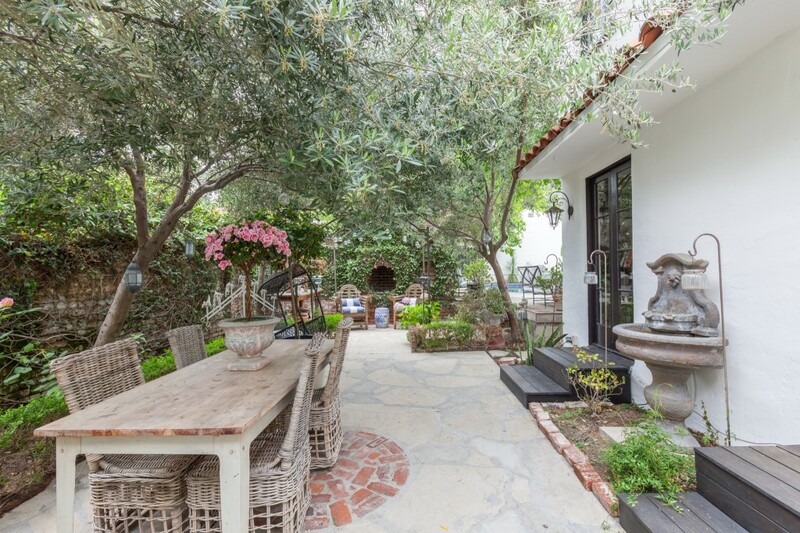 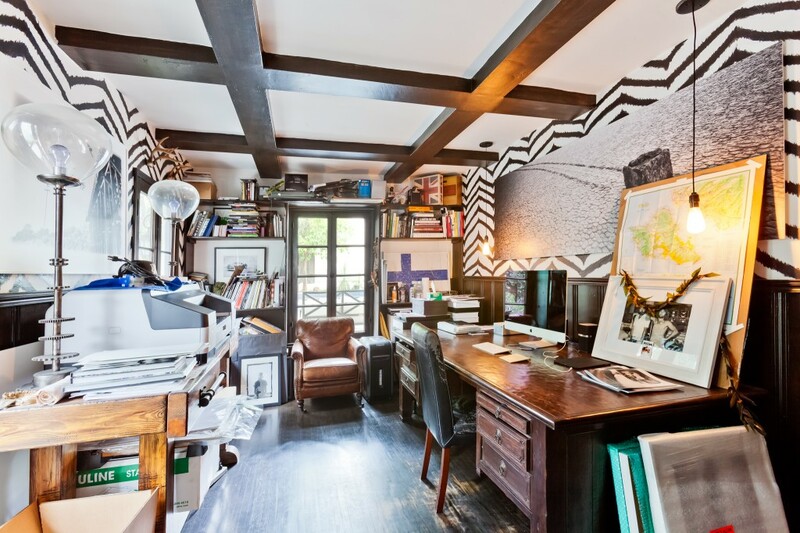 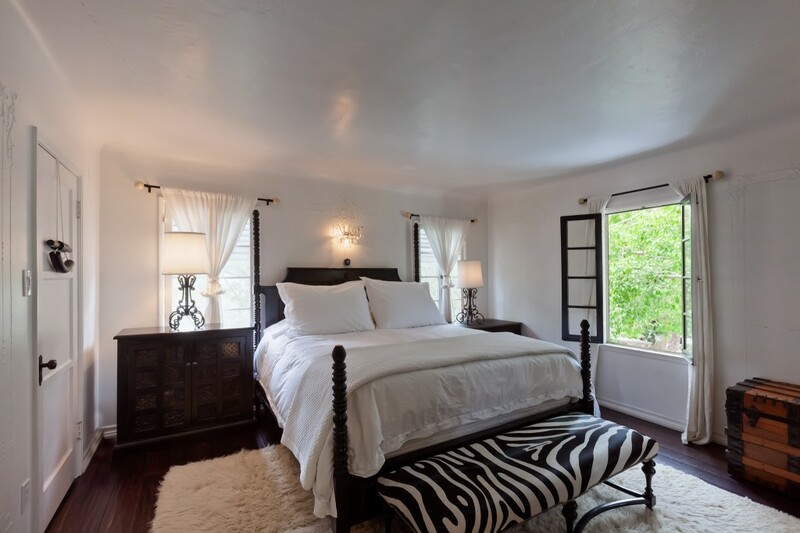 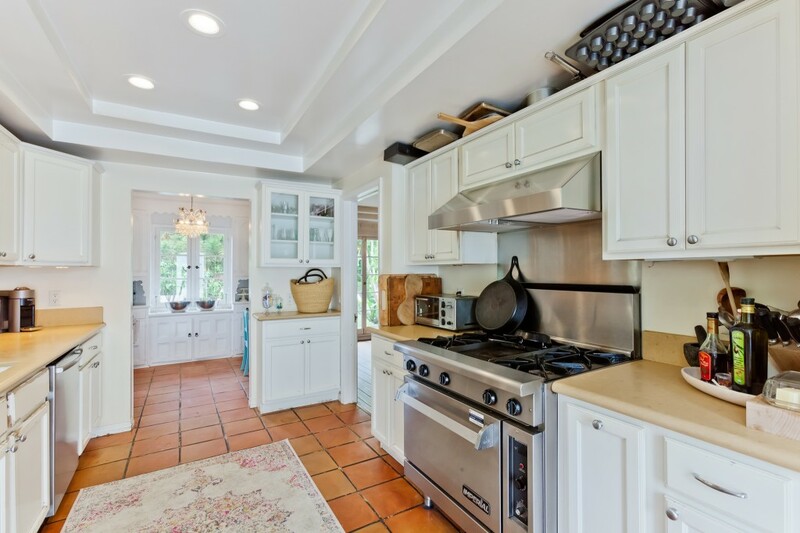 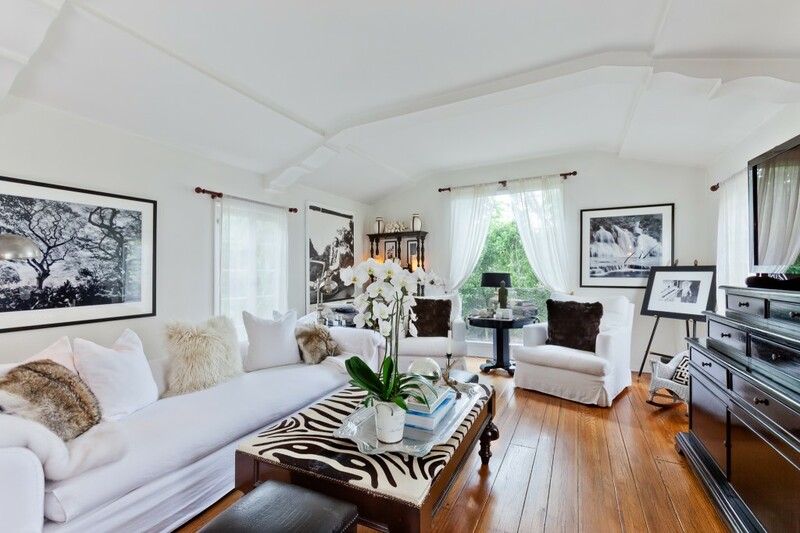 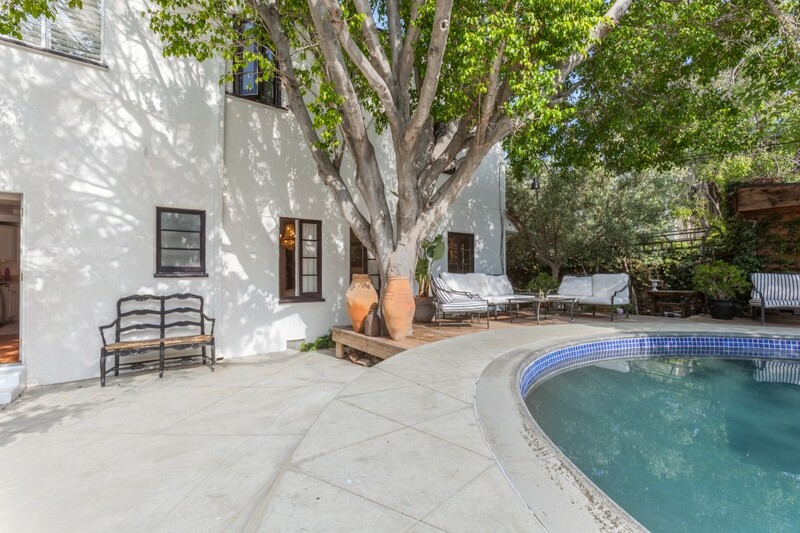 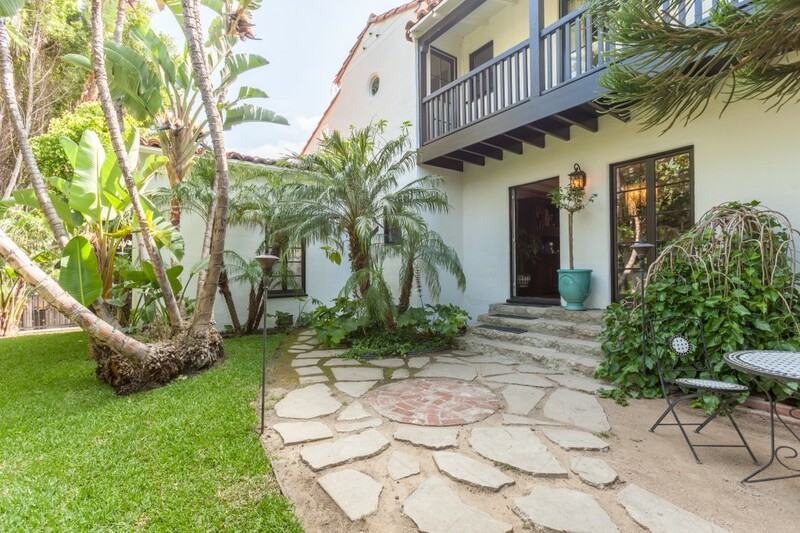 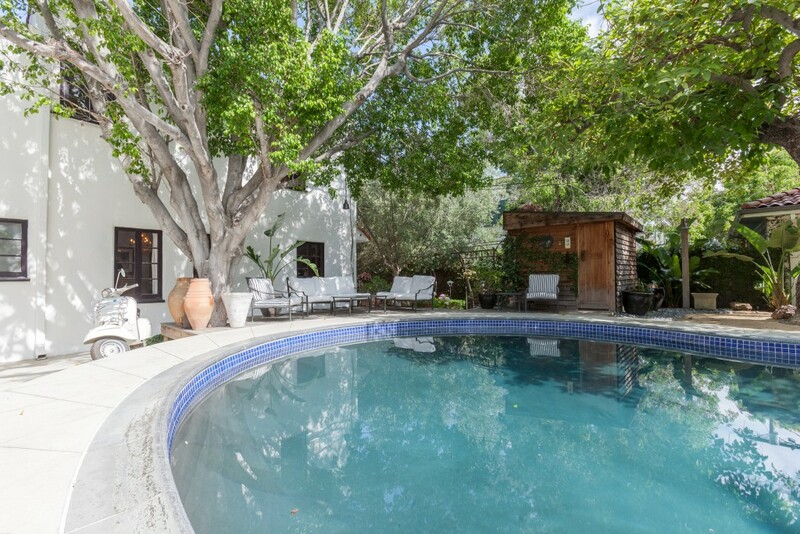 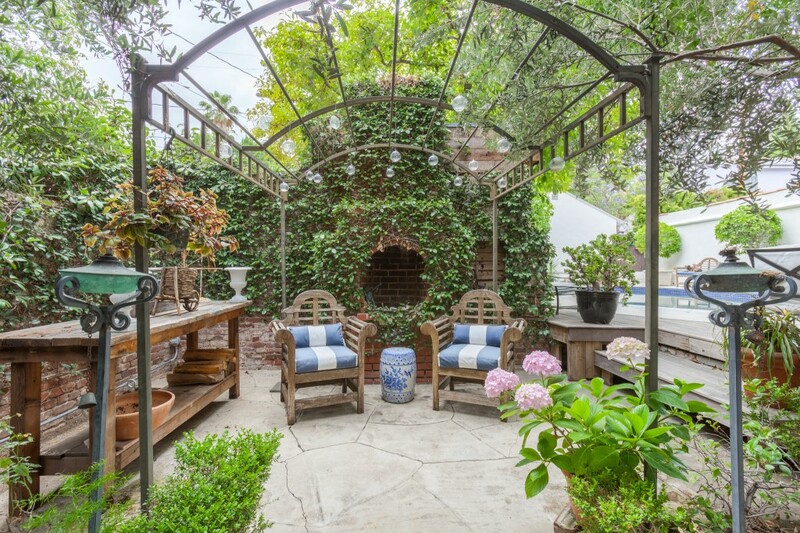 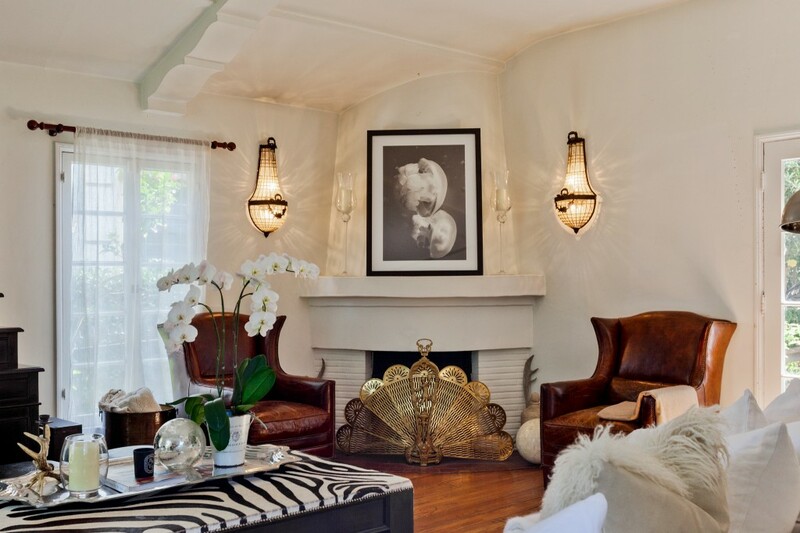 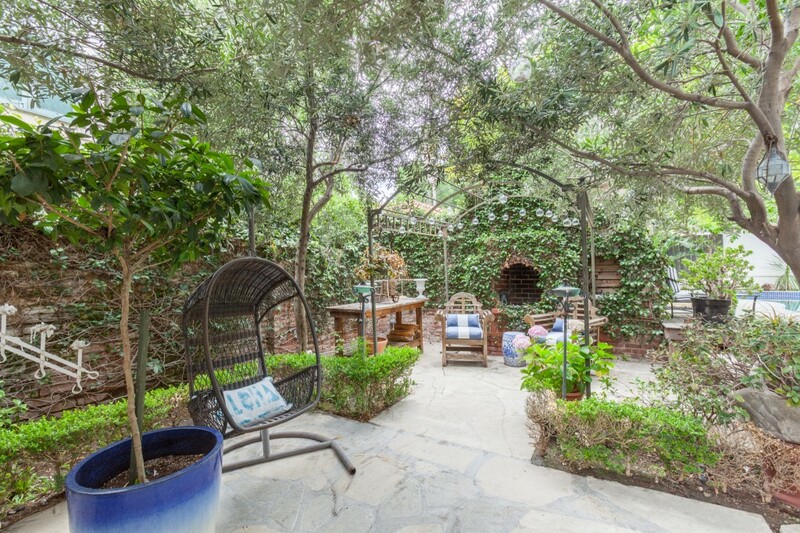 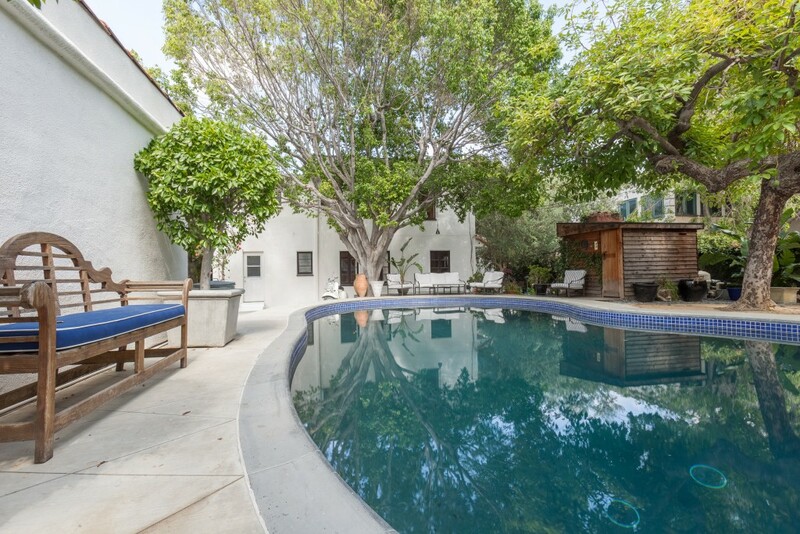 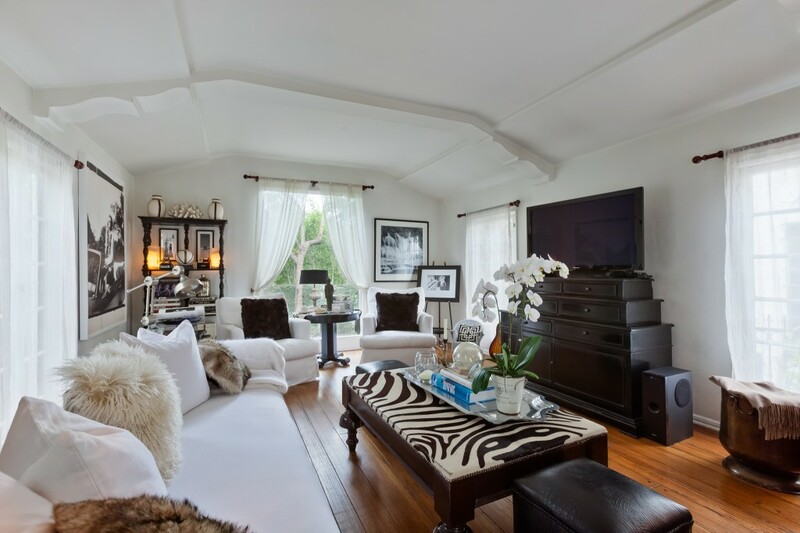 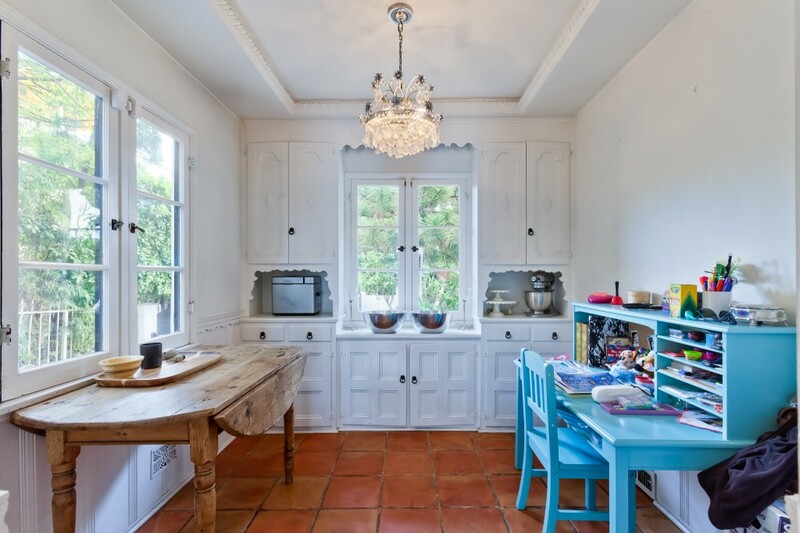 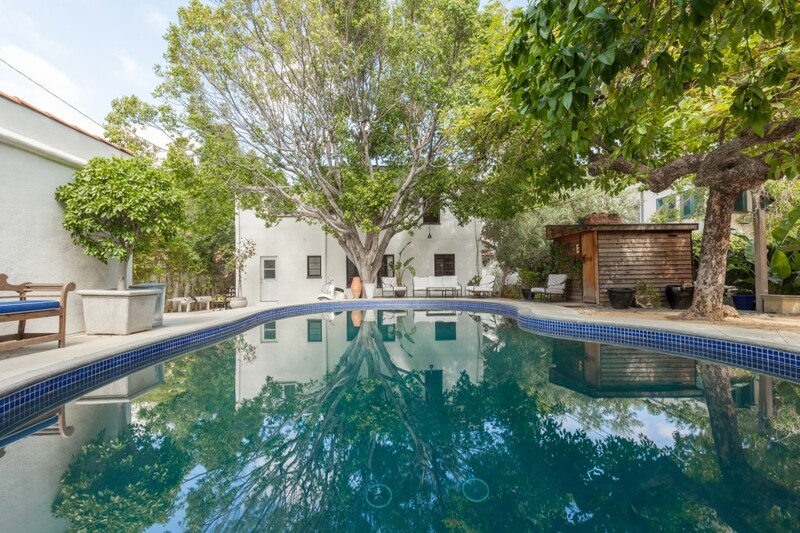 Classic Monterey Spanish Colonial in central Hollywood Hills/Sunset Strip location! 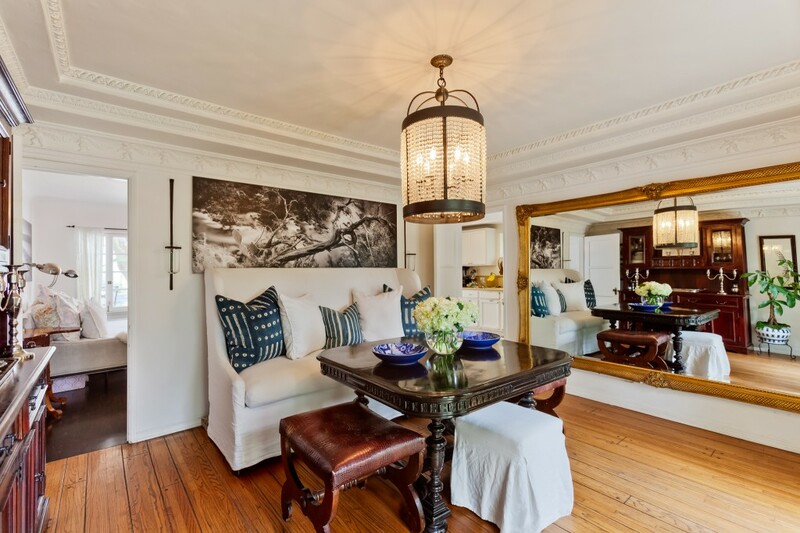 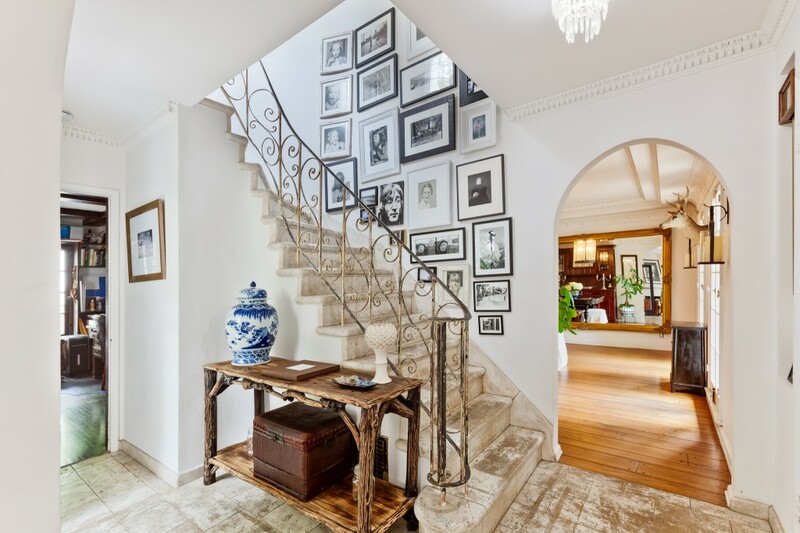 Gated and set behind tall privacy hedges, this 4 bedroom/2 bathroom home radiates Old World elegance with crown moulding, barrel and cove ceilings, rare bas-relief wall decoration, hardwood floors, and original built-ins. 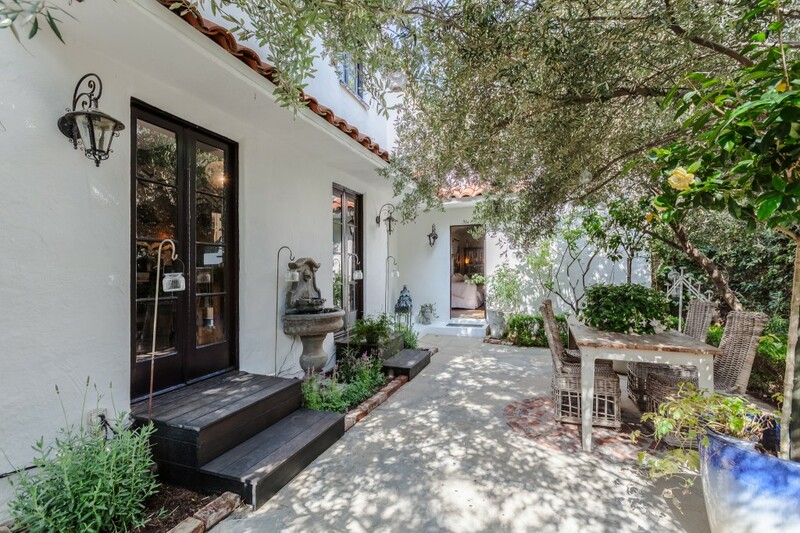 Great indoor-outdoor flow: a gorgeous step-down living room with picture window and beamed ceiling opens to the courtyard, the formal dining room flows into the front yard through two sets of french doors, and the kitchen with breakfast nook leads to the backyard. 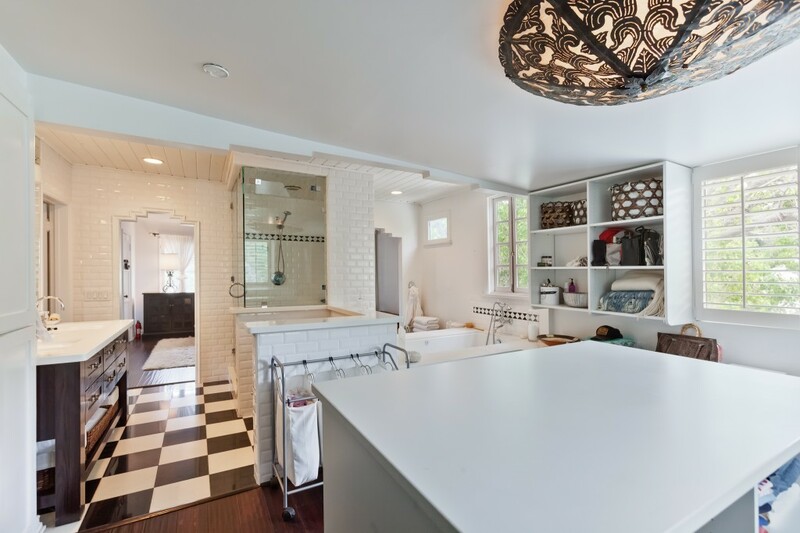 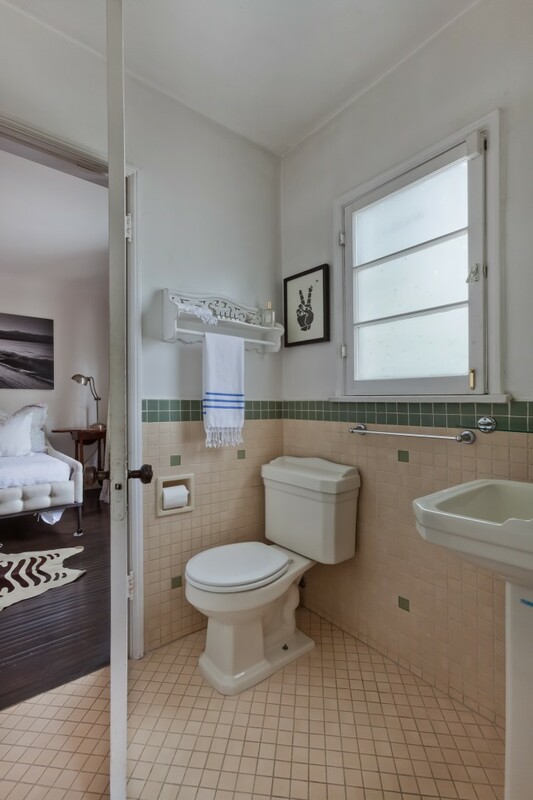 Two bedrooms (one used as office) can be found downstairs, while the master bedroom, a large guest bedroom and a remodeled full bath comprise the upper floor. 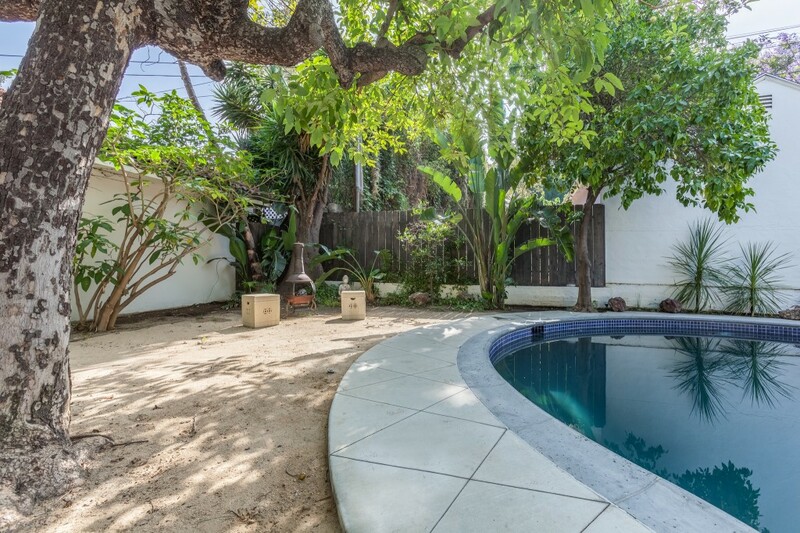 The huge backyard features a custom in-ground pool that doubles as a skate park when empty, courtyard with brick fireplace and outdoor dining, and authentic Finnish sauna. 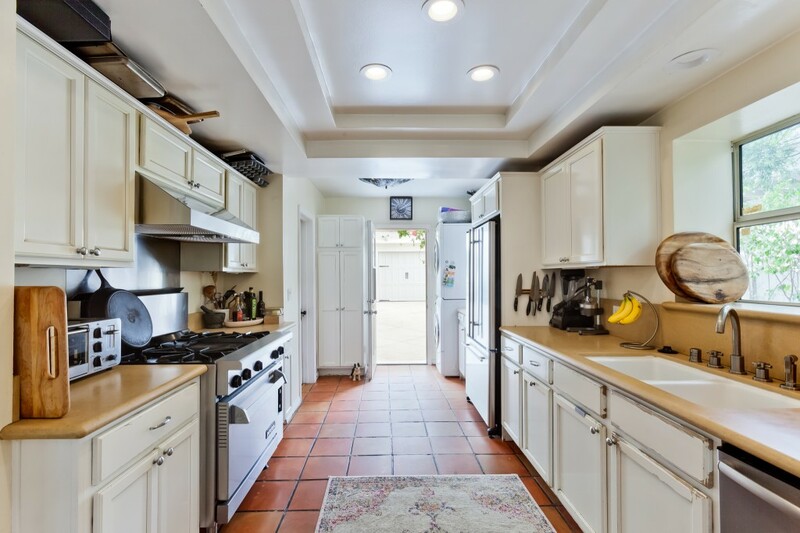 Prime location, close to Hollywood, Sunset Strip, West Hollywood and Runyon Canyon, in newly formed Sunset Square HPOZ.